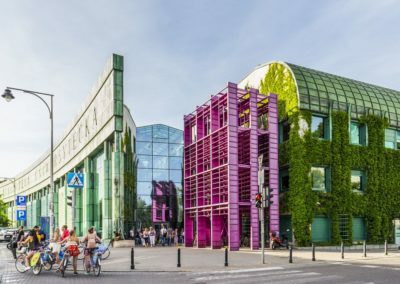 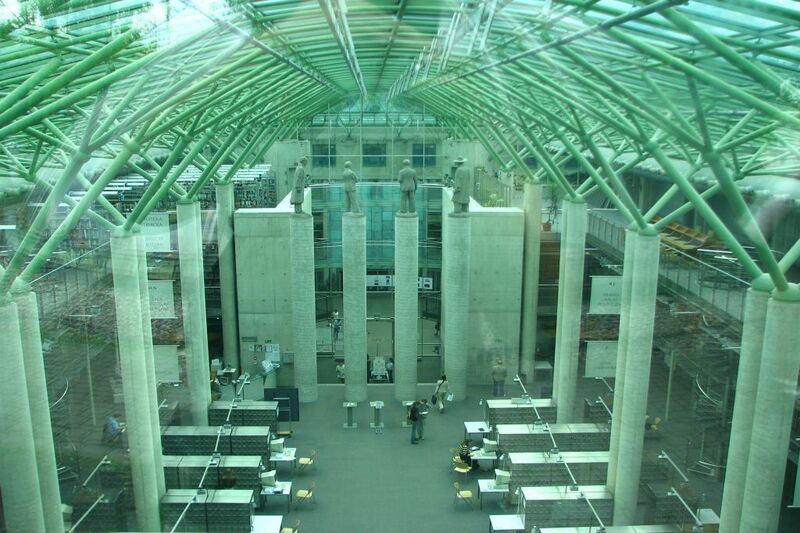 The popular library is one of the most interesting buildings in Poland. 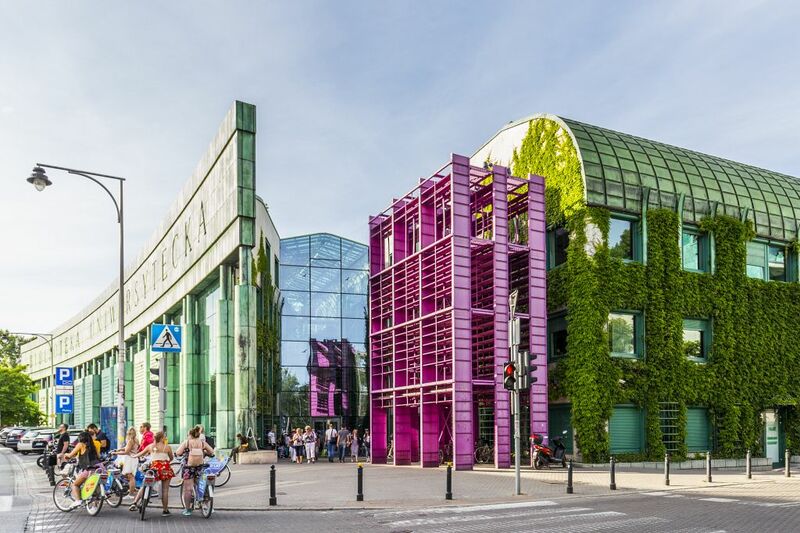 The combination of raw concrete, green glass and lush vegetation growing on the facade of the library makes a great impression. 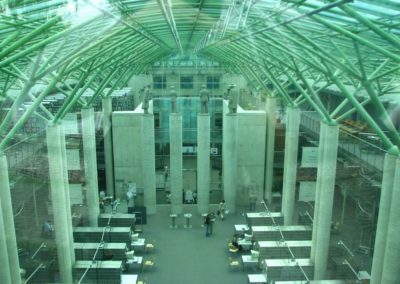 Inside, there is not only a huge collection of books and magazines from around the world, but also numerous shops, cafes and restaurants. 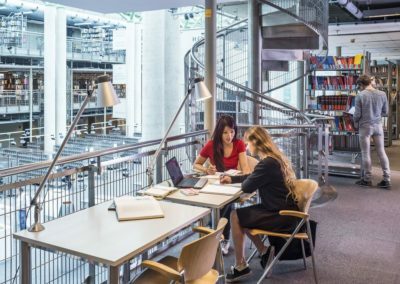 While in the Library, visit the Polish Poster Gallery, which features original post-war posters, including film, theatre and political posters. 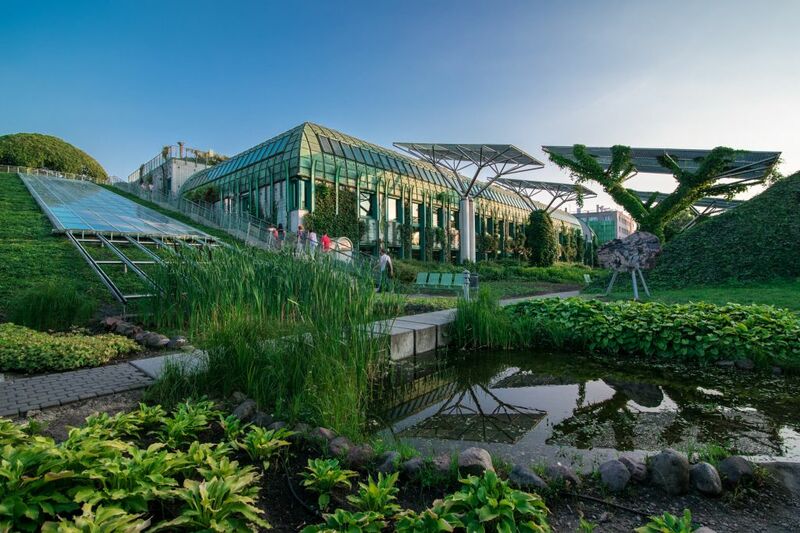 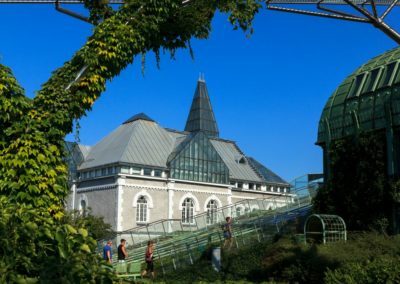 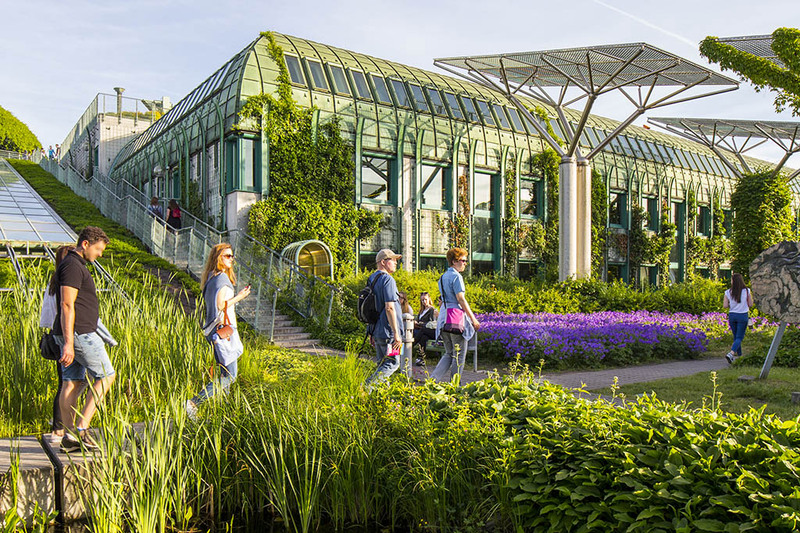 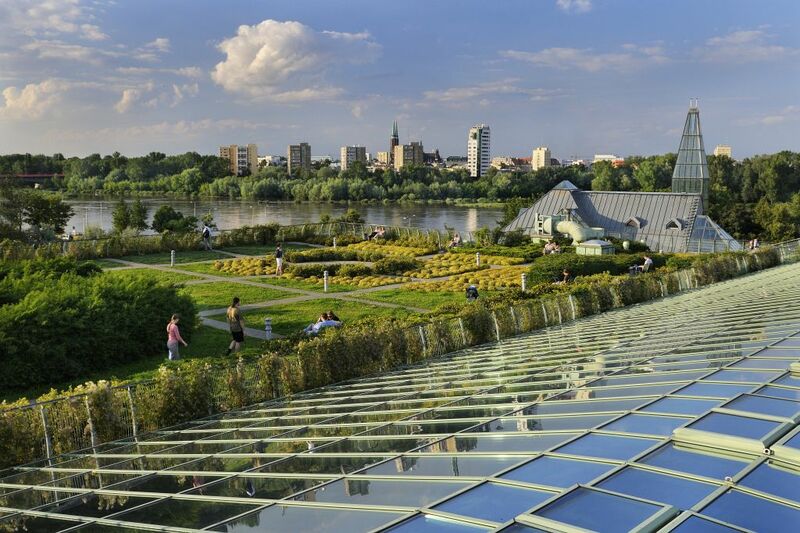 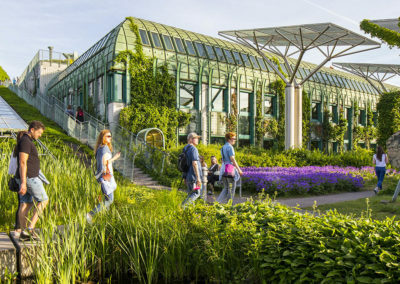 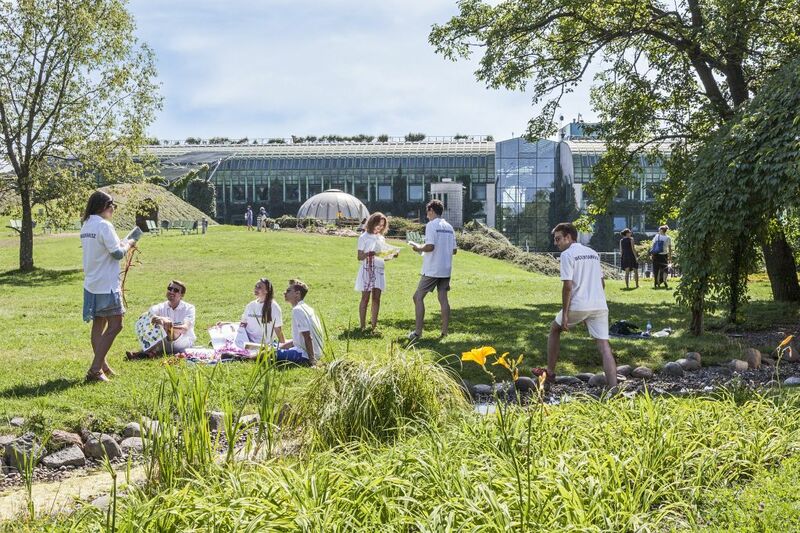 The biggest attraction is the impressive roof garden, one of the largest and most beautiful of its kind in Europe. 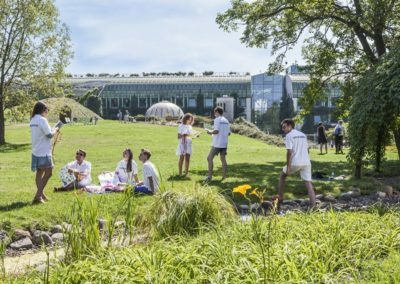 The university garden is available from spring to autumn. 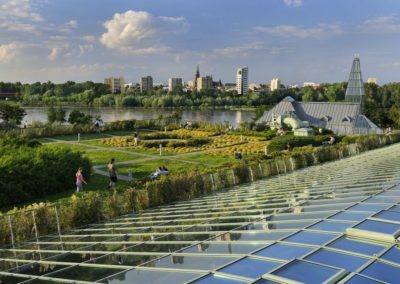 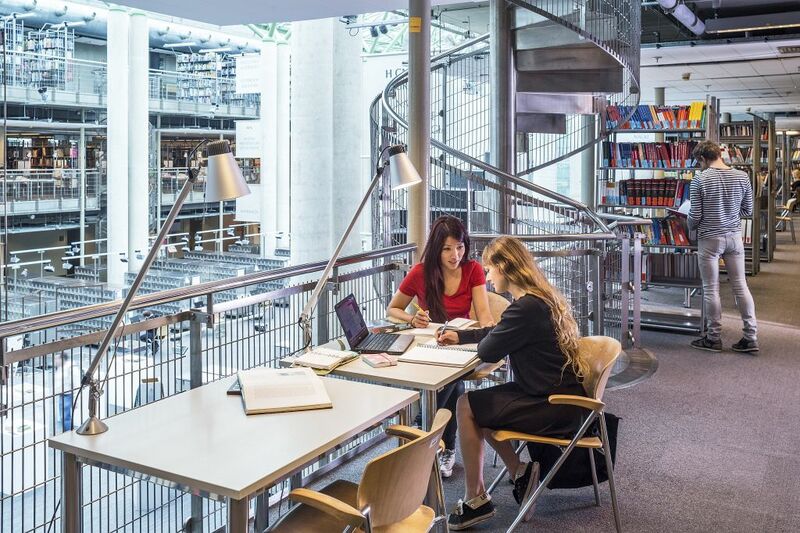 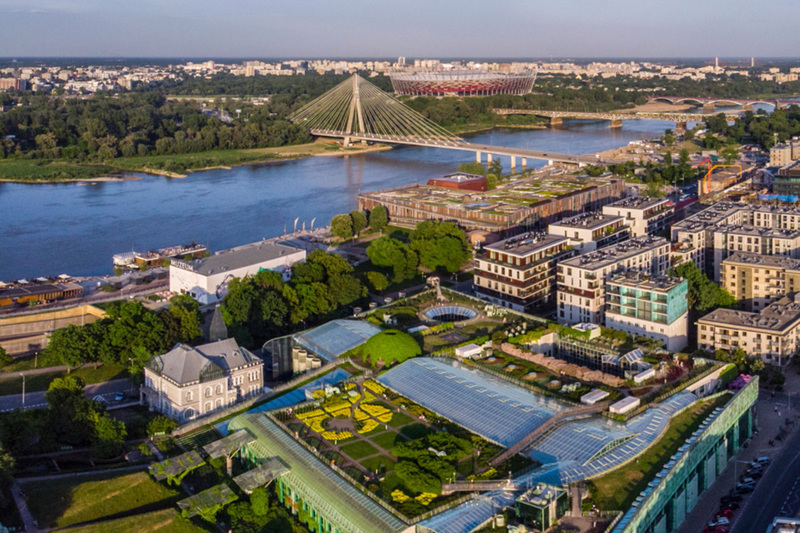 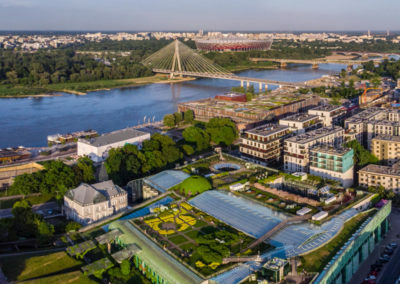 From the bridges and observation deck you will not only see the breath-taking panorama of Warsaw, but you will also get a bird’s eye view of the interior of the library.